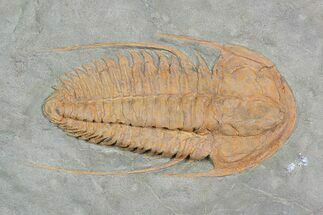 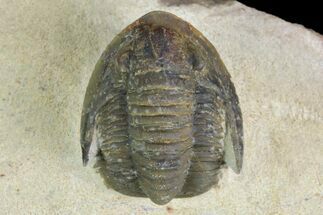 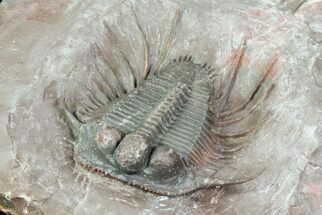 This is a very nicely preserved and prepared example of an the Lower Cambrian trilobite Kingaspidoides from Morocco. 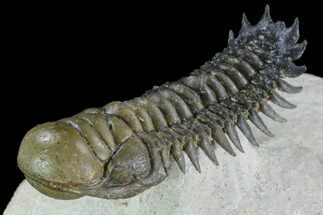 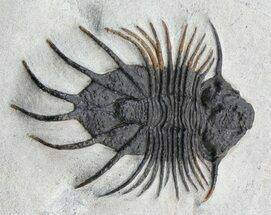 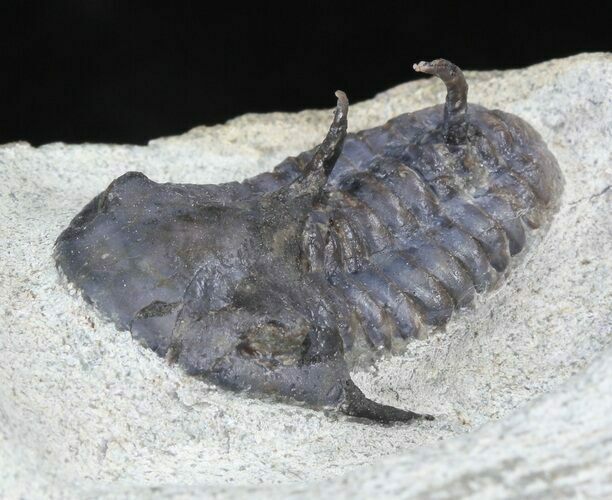 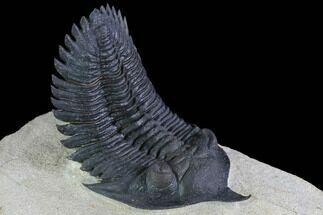 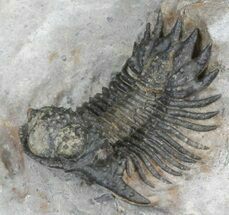 Typically these trilobites do not retain shell and are often painted black, with reconstructed spines. 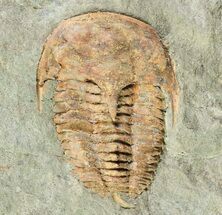 This specimen retains most of it's shell. 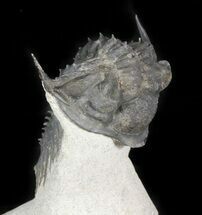 There is some shell restoration on the left side of the head.